The Hollywood Reporter has brought word that four months after Universal Pictures pushed back The Voyage of Doctor Dolittle‘s release date, the studio has tapped Teenage Mutant Ninja Turtles director Jonathan Liebesman to helm reshoots for the fantasy comedy adventure. Though the film was originally set to hit theaters this month, Universal pushed it back on two separate occasions, first to Christmas this year and then again to April of 2020, and while it was originally thought the second delay was to avoid competition with the highly-anticipated Disney sci-fi blockbuster finale Star Wars: The Rise of Skywalker, it now appears the delays were actually due to a major nip and tuck job needed on the film. The adaptation of the classic Hugh Lofting character is already budgeted at a high $175 million and director Stephen Gaghan is more known for smaller projects including the Oscar-nominated political thriller Syriana and the Oscar-winning crime drama Traffic, so this was already a very different kind of project for the 53-year-old writer/director. Liebesman, on the other hand, is well-known for his work in the effects-heavy blockbuster world, having directed the 2011 sci-fi actioner Battle: Los Angeles, the 2012 Greek mythology sequel Wrath of the Titans and the 2014 reboot of the action comic book series Teenage Mutant Ninja Turtles. Though Liebesman will be helming the reshoots, THR reports that Gaghan is still collaborating with the crew on set in an “inclusive” process and that he will remain as the credited director for the project. The reshoots, which lasted 21 days, got underway thanks to a script overhaul from Chris McKay, well-known for his work on the Adult Swim animated series Robot Chicken and the 2017 superhero comic book smash The LEGO Batman Movie. Though the plan was originally for McKay to helm the reshoots, he was only able to assist in the writing process, currently being busy with developing a solo Nightwing film for the DC Extended Universe, working on the casting process for the upcoming Dungeons & Dragons film and developing a LEGO Batman sequel. The massive, all-star ensemble cast is set to include Robert Downey Jr. as the titular Doctor, with Emma Thompson as Polynesia the parrot, Selena Gomez as Betsy the giraffe, Tom Holland as Jip the dog, and Ralph Fiennes as Barry the tiger, Rami Malek as Chee-Chee the gorilla, Octavia Spencer as Dab-Dab the duck, Kumail Nanjiani as Plimpton the ostrich, John Cena as Yoshi the Polar Bear, Marion Cotillard as Tutu the fox, Carmen Ejogo as Regine the Lioness, with Craig Robinson as Fleming the mouse, and Frances de la Tour. 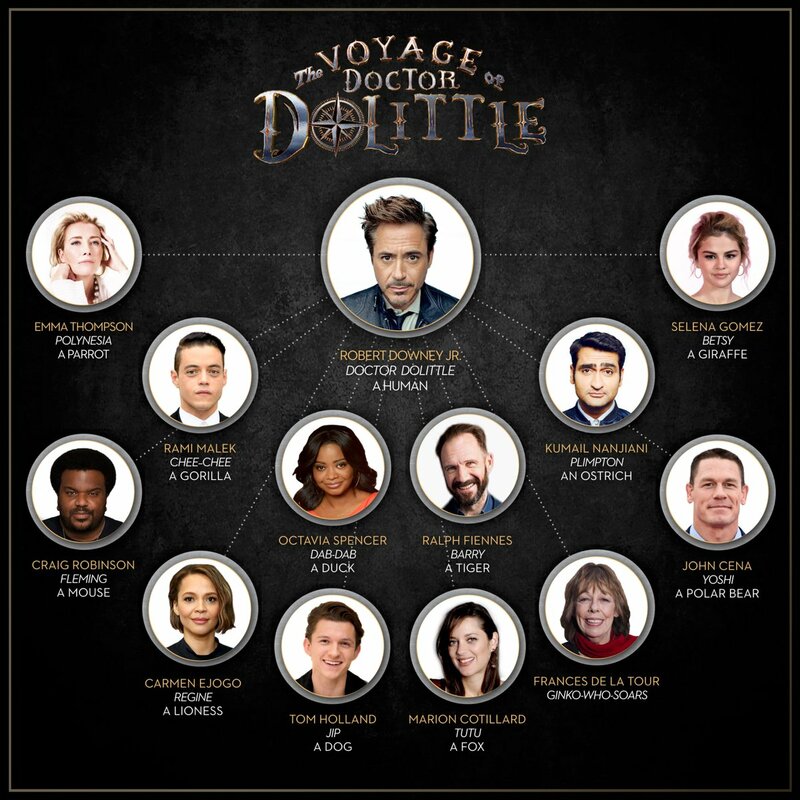 The Voyage of Doctor Dolittle will be directed by Stephen Gaghan (Gold, Syriana). Gaghan also rewrote the script from a Tom Sheppard draft, an adaptation of the Hugh Lofting children’s books from the 1920s. Production on the film is currently underway in London. 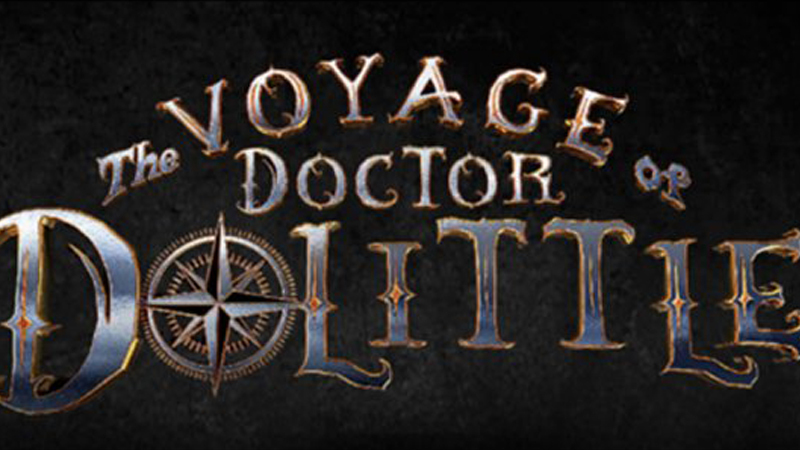 The post Jonathan Liebesman Tapped For The Voyage of Doctor Dolittle Reshoots appeared first on ComingSoon.net.